Product prices and availability are accurate as of 2019-04-19 06:27:33 UTC and are subject to change. Any price and availability information displayed on http://www.amazon.com/ at the time of purchase will apply to the purchase of this product. 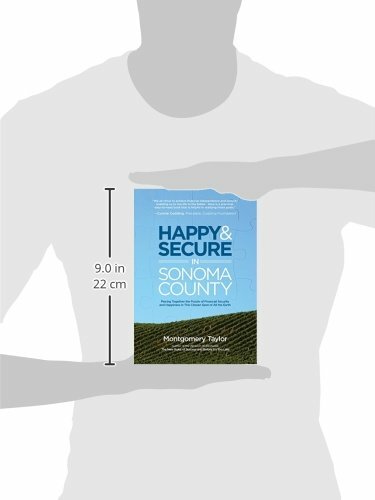 Author Bookstand is proud to offer Happy & Secure in Sonoma County: Piecing Together the Puzzle of Financial Security and Happiness in This Chosen Spot of All the Earth by Bookstand Publishing. Bookstand Publishing offers books by the best indie authors throughout North America and the world. Bookstand Publishing is dedicated to offering original content to a broad audience and promoting great authors, literacy, and freedom of expression. 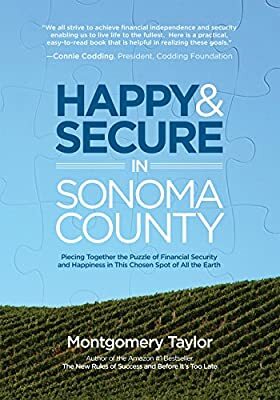 Happy & Secure in Sonoma County: Piecing Together the Puzzle of Financial Security and Happiness in This Chosen Spot of All the Earth has generated a lot of interest and excitement and we think it would be an excellent addition to your library. Are you happy? Do you feel secure? Could you use a little more peace of mind? It is within your power to increase your happiness and security. It's not as hard as you think. And you don't have to have the Midas touch like Henry Trione or Warren Buffett. This book is a collection of inspirational, true stories about ordinary people's lives -- here in Sonoma County, California. Their financial situation and the follow up advice provided give hope and inspiration through heartwarming stories about counting your blessings, thinking positively, and overcoming challenges. This book can help you piece together the puzzle of achieving financial security and happiness. Here's what you need to know to protect your assets and secure an enjoyable lifestyle. One of the most popular personal-finance experts in Sonoma County, Montgomery Taylor goes beyond the usual finance book and lets everyday people tell their own stories of how circumstances, naiveté, failure to act, misinformation, and avoidance devastated their financial security. They go on to share what they've done with Taylor's help, to become happy and secure. Taylor clearly describes how to safeguard your financial future through seven compelling stories: Meet Sharon, a sixty-six-year-old divorcee who lost her savings when a brokerage firm made high-risk investments on her behalf. Learn how you can avoid a similar financial disaster as the author guides you in how to find sound investment advice and closely monitor your investments. Or maybe you will learn from John and Amanda, who were feeling desperate about their finances but took the steps revealed here and can now avoid worrying over money. Taylor's research shows that the amount of money you make has surprisingly little to do with how financially happy you are. But the happiest people in Sonoma County at all income levels tend to use the money strategies taught by Taylor and found in this book. The bottom line: You have to pay attention to your money -- and Taylor shows you how to make the most of what you've got -- but you don't have to be rich to achieve financial happiness.